Design wise, there was not much to complain to Sony engineers. The device sticks to palms and even after many hours gamers didn't experience tired arms or wrist pains. One of the reasons is that PSP is lighter than it looks. Button layout is known from its bigger PlayStation brother, logical and easy to get accustomed to even for beginers. The new chapter in gaming history was opened. 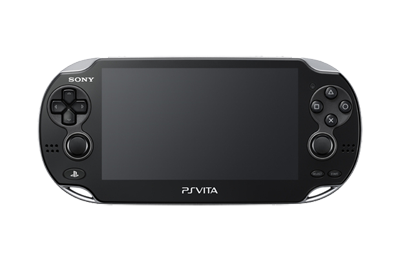 Sony PS Vita is the latest version of famous portable gaming device from Sony, this time simply called Vita. It is undoubtably the impressive piece of hardware in all aspects. 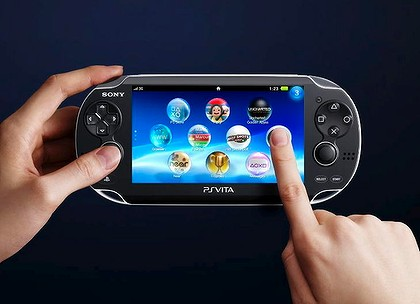 Sony has put a powerful quad core ARM Cortex A8 processor in a Vita's case which is larger than on the PSP. Graphic processor is SGX543MP4+ with the same number of cores, three of which are dedicated to applications (games) while one core is reserved for OS. This small, power consumption friendly chip is able to render graphics in quality just a single step behind the current state of the art desktop gaming consoles. Uncharted: Golden Abyss looks spectacular on a fantastic 5 inch multi touch capacitive OLED screen. Brightness, shadows and details are almost at the level of the first Uncharted game and the only difference is slightly lower polygon count for the Vita version. The console comes in a box with a charger and USB cable as a part of it, AR cards and documentation. 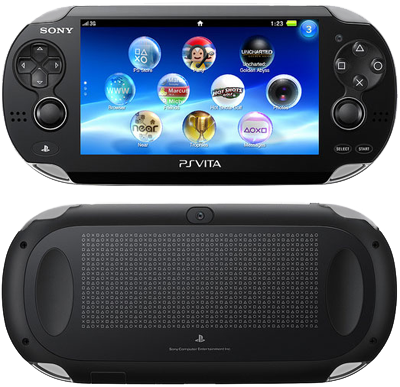 PS Vita is larger than PSP, to the point a name "pocket gaming console" becomes questionable. The main reason for larger size is probably is large 16:9 screen which dominates the front side. The sheer power isn't what makes PS Vita a true next gen portable console - it's the possible level of interactions with games that makes it a whole new experience. 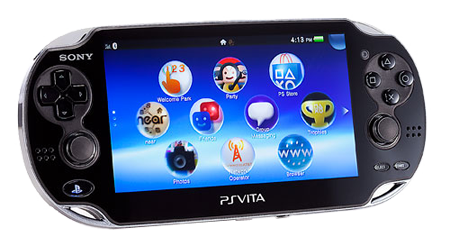 PS Vita gathers all commercially available ways to interact with games which makes it the most complete gaming platform to the date. Along the standard control set typical for joypad, this console has sixaxis motion controls which, together with large touch screen, makes this hardware a true technical miracle. A front side is completely covered with reflective, glossy material, which has a known tendency to collect a fingerprints. In general, PS Vita is pleasure to use, it fits conveniently in palms and it feels and looks expensive. 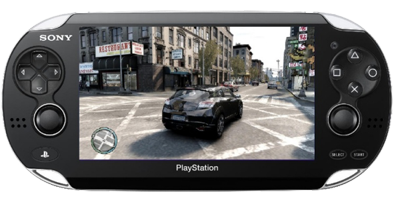 User interface is more similar to those we are seeing at smartphones and tablets than the XMB interface from PSP and PS3. All operations use touch screen only and Sony decided to ignore all the buttons and sticks when using OS, which may not be very practical for listening music while VIta is in your pocket, for instance. Vita's OS is designed in a way that opening any game or application brings the LiveArea window, which shows some basic information, user manual, links to the vendors site or any relevant information. In any given moment you can have six LiveArea windows opened. Some logical restrictions apply here, like the fact that you have to close LiveArea window when you want to start another game, or you want to open internet browser, for example. PS Vita comes with few pre-installed applications, along with few available at Play Station Store. Internet browser, while not as good as those on modern smart phones is definitely the best one seen on the game console yet. Page loading can be slow and it goes in blocks of content but the actual viewing and page scrolling goes very smooth. The lack of support for Flash and HTML5 is something that Sony will have to fix in the future version of firmware. There are few similar communication apps (Group Messaging, Party, Friend) and 3rd party applications like Facebook, Skype, Flickr and Foursquare are available on PS Store. They are functional, but there is still a lot of room for improvement. All the power PS Vita delivers would be useless without high quality games that you can actually play on it. All Vita games can be found in PS Store as downloadable products. Sony delivers ahigh budget games in new format, on so called "Vita cards". They come in large boxes and without any additional content. Buying a game as downloadable product is cheaper, but you have to make sure you have a larger memory card, which also comes in new formats, with capacity from 4gb to 32gb. Augmented Reality is relatively new, impressive technology that uses camera on a back side, altering the live picture with inserted 3d content, opening up almost endless possibilities for new generation of games. Currently few of the games that comes with Vita serve more as a technological demo, but we can expect new titles to take full advantage of this enormous potential. PS Vita is compatible with most PSP games. All of the older titles are ported in the original, lower resolution, and as expected they don't look as good on Vita as on the PSP. Wi-Fi is functioning perfectly. Using USB cable and Content Manager software, Vita can be connected to PC and Mac systems, and PS3 console, in order to transfer multimedia content on memory card. You'll just have to install Win/Mac application and define folders with music, photos and video content. Applications that play audio/video content are working fine, and video material is looking great on high quality screen. Only Mp4 is supported and many video files would have to be converted on PC beforehand. You can use software like PSP Converter for this task. There is also a support for H.264 video. A movies can be rented from PS Store, including newest blockbusters. Audio reproduction works fine but again it lacks in number of supported formats. It can play only MP3, MP4 and WAV files. Again, PSP Converter can be used to convert audio files to PS Vita. Good thing is that it is possible to listen music while playing a game because player can reproduce audio tracks in background. Battery life on PS Vita is quite good, especially when you take into account a powerful hardware. In conclusion, Sony PS Vita is one of the the most impressive pieces of hardware that we have seen. It doesn't sacrifice anything for being able to carry around and play. Pocket gaming today is very different than it used to be just few years ago. Smartphones and tablets got simple, playable games which many users find enough to give them good past time, all for very little money. This console is capable of much more. To convert your videos to PS Vita formats please use PSP Converter, downloadable on this site. It works as a PS Vita converter, and support all PSP console formats from the beginning. To download PS Vita Converter (PSP Converter) use the link bellow. © 2012 Free Media Converters. All Rights Reserved.